The Pizzella are spread throughout the region, although in different places of higher output, there is a certain diversification due to the consistency dell’impasto and the ingredients used for flavoring (lemon or anise). They are also known with different names, including neole, reasonable (at Ortona), ferratele or deleted. 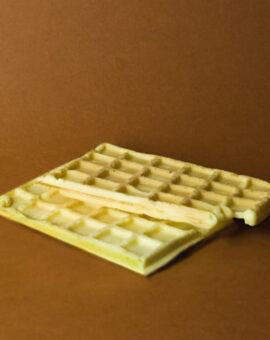 This is a waffle cooked on a special iron hollow and slightly marked with small squares or lozenges in which manages to give the product its characteristic shape, usually square or round fan with forging relief (cubes, rows or lozenges, appunto). The recipe is very simple. Themselves up the egg whites of eggs and then add their yolk, extra virgin olive oil, sugar and grated lemon peel. Stirring vigorously you add the flour slowly until you get a soft dough. At the heart of iron, previously oiled and heated on the flame of the fireplace, gas or electricity, you pay a spoon dell’impasto, then closes the iron and put it on the flame, taking care to turn on the other side halfway cooking . When the mixture reaches a nice golden color can be considered cooked, and then with the help of a fork is easily detached from the iron and is in a tray to cool. Very important is to establish, depending on the type of iron and the intensity of the flame, the optimal cooking time for this connection to tradition, the estimated duration in the right amount of time required to recite a “Hail Mary” on one side and a “Our Father” on the other side. Generally, depending on the size and depth of the iron, from an egg you can get 3 to 5 Pizzella. The result is a very pleasant sweet consistency of soft (higher) or crispy (thinner) depending on the recipe that varies between sites and among families and therefore the iron used. There is no definite information about the origin of this dessert, but the tradition of shaping the irons with the center marked on one side of the family crest or initials of the owner and on the other hand, the date of manufacture, to indicate that by the end of 1700 beginning of 1800, the irons for the firings of Pizzella were widely present in the families of Abruzzo. Traditionally, Pizzella was typical sweet double, prepared and offered to all those invited for the occasion went to visit the dowry from the bride exposed, but the preparation of this cake was subsequently extended to all parties is that of a religious nature calendar. The use of iron and forging classical (as we saw in squares, rows or lozenges) allows you to identify the origin of the other names used for this product or its minor variations: simple is Ferratella and deleted (someone who brings also to the fact that historically were prepared by cloistered nuns); more difficult is the origin of neole or reasonable (probably clouds, because of their soft texture) which are generally softer and therefore lends itself better to house, placed on ‘Moreover, a filling based scrucchiata (grape jam), cream, chocolate or honey. Some have the reasonable particularity to identify those which are produced exclusively nell’ortonese and are made by adding cooked nell’impasto. 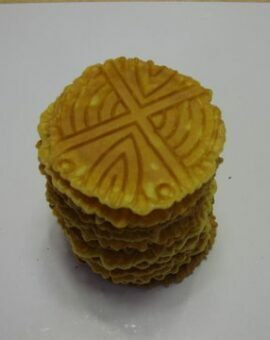 Under the soft texture, the reasonable are rolled to form a kind of cone, have a particular taste and can also be prepared with the filling. Catarrette anise in packs of 200 grams. Category: Catarrette. Catarrette anise in packs of 200 grams. Catarrette crunchy cocoa in packs of 200 grams. Category: Catarrette. Catarrette crunchy cocoa in packs of 200 grams. Catarrette soft biscuits from breakfast in the 200 g.	Category: Catarrette. Catarrette soft biscuits from breakfast in the 200 g.
Catarrette Thin, biscuits from breakfast pack of 200 g.	Category: Catarrette. 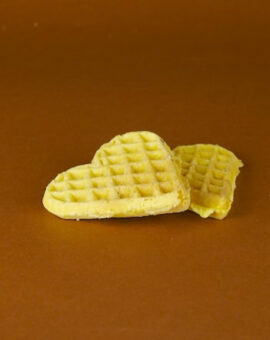 Catarrette Thin, biscuits from breakfast pack of 200 g.
Sweet and soft hearts pastry catarrette. Pack of 200 g.	Category: Catarrette. Sweet and soft hearts pastry catarrette. Soft hearts with chocolate drops in packs of 200 grams. Category: Catarrette. Soft hearts with chocolate drops in packs of 200 grams. 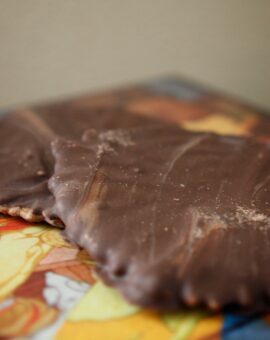 Crispy wafers with cocoa glazed with dark chocolate. Category: Catarrette. 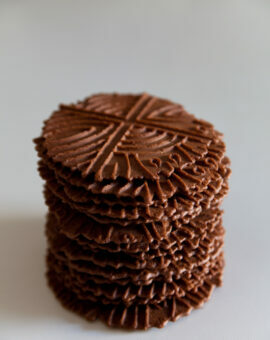 Crispy wafers with cocoa glazed with dark chocolate. Crispy glazed with dark chocolate wafers. Category: Catarrette. Crispy glazed with dark chocolate wafers. Crispy waffles with glazed chocolate milk. Category: Catarrette. Crispy waffles with glazed chocolate milk.